I have been through so much pain, heartache, lies, betrayals because of such evil. Evil tried to break up my marriage and family. I stayed even if I am in constant worry. Please help my husband see the truth with everything. Let him see the evil as a big mistake. Let him realize that he needs to let go of evil completely and focus on his family. 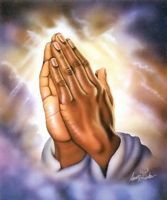 Please pray that God helps my family through all this trials and tribulations and make it triumphs. Please let justice prevail and grant me the intentions I hold in my heart. That God makes things right and just and takes what needs be taken up and away. Please heal my marriage. Please heal my family. Please keep my marriage and family together, never letting anything or anyone to break it. Please help my husband be good to me and our kids. Please help me with the desires in my heart. Please help me.